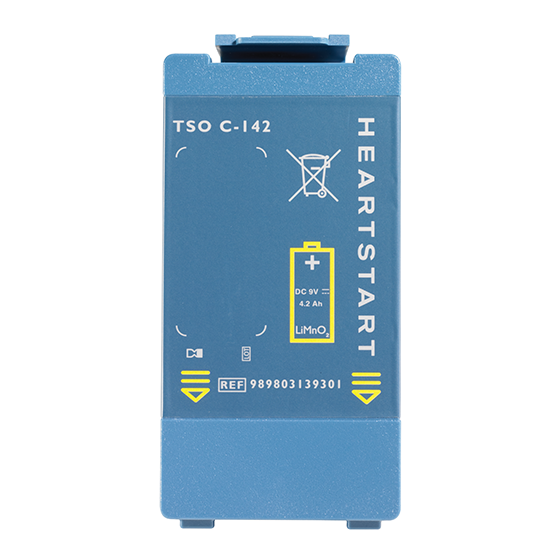 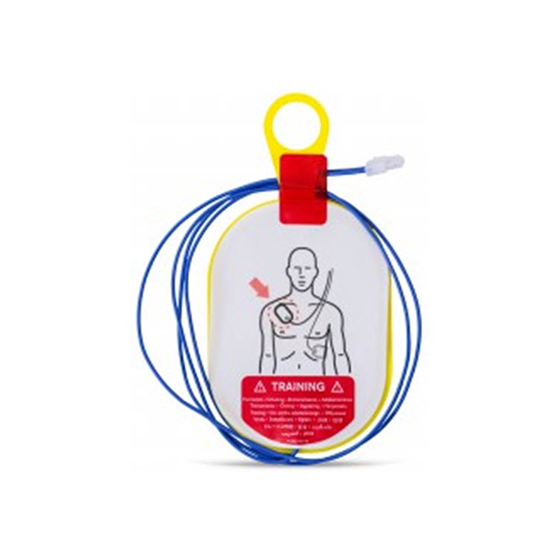 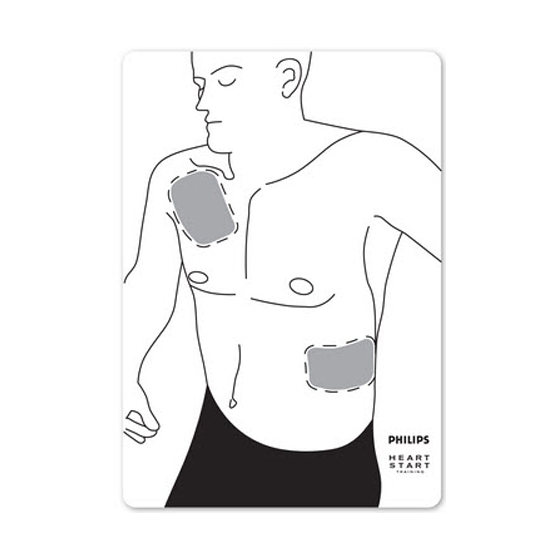 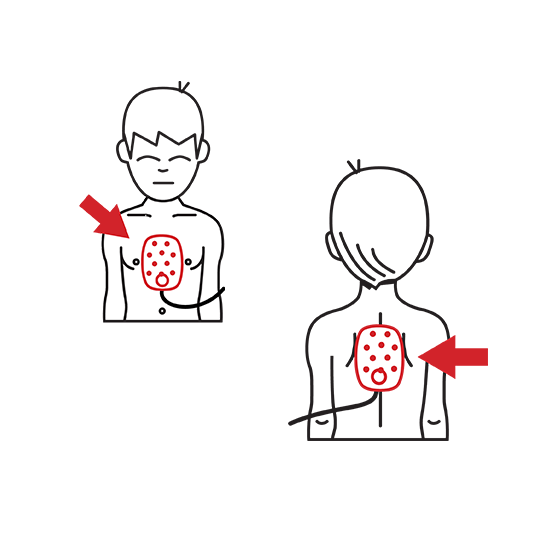 Onsite Adult Training Pads Replacement with Cartridge - First Edition First Aid Training Inc.
To facilitate training on the OnSite Defibrillator, Adult and Infant/Child Training Pads Cartridges are available. 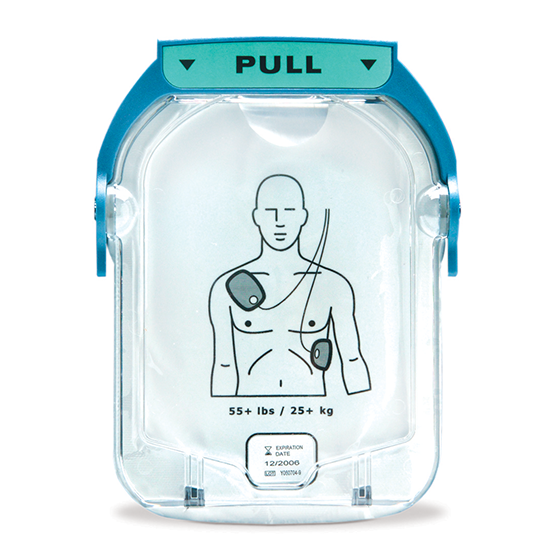 These special purpose pads are installed in the HeartStart OnSite and the HeartStart Trainer. 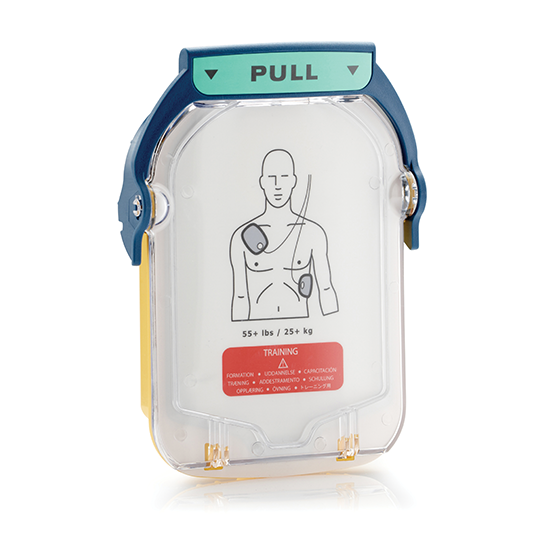 When installed in the OnSite, they suspend the defibrillator’s ability to deliver a shock and activate its training mode, enabling the user to run any of eight emergency scenarios. 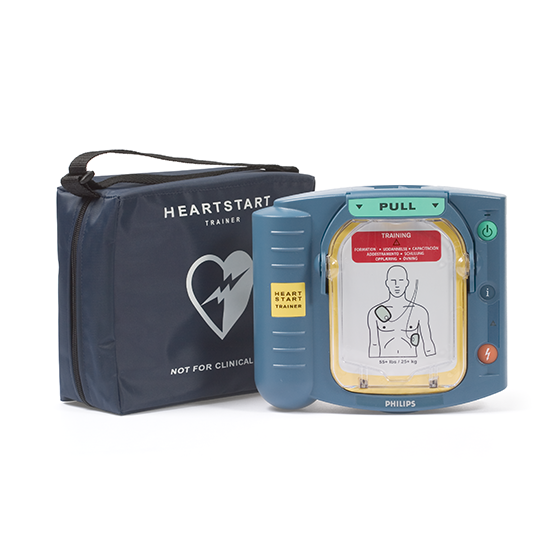 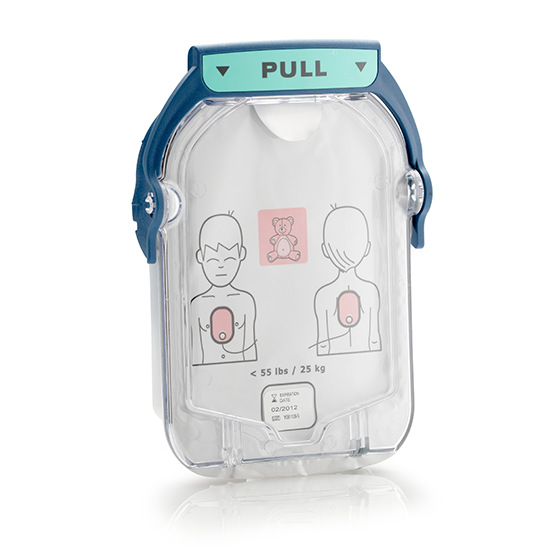 Depending on which cartridge is used – Adult or Infant/Child – the defibrillator’s voice instructions, including cardiopulmonary resuscitation (CPR) coaching, will be appropriate for treating the simulated victim. 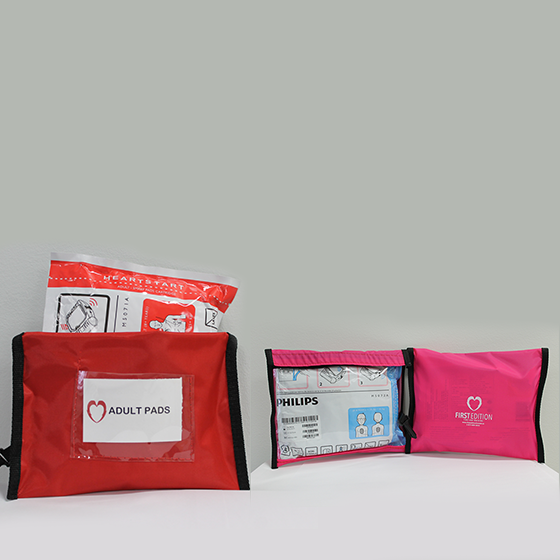 Each training pads cartridge consists of a removable clear protective lid with a handle, a resealable film cover, and a pair of reusable adhesive pads. 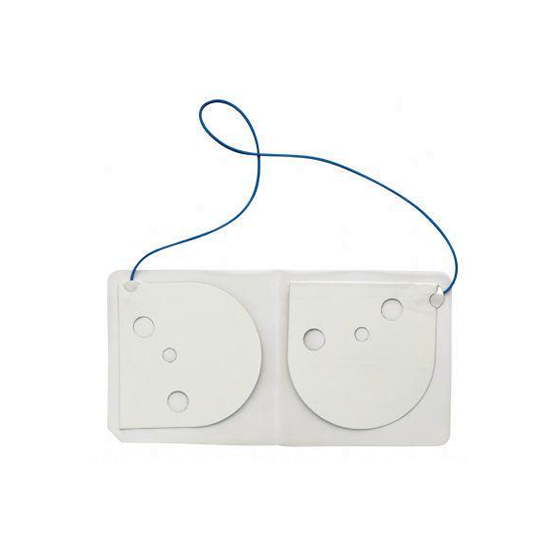 It is packaged with a Pads Placement Guide (either Adult or Infant/Child) and illustrated instructions for installing the cartridge, using the Pads Placement Guide, and repackaging the cartridge after using it. 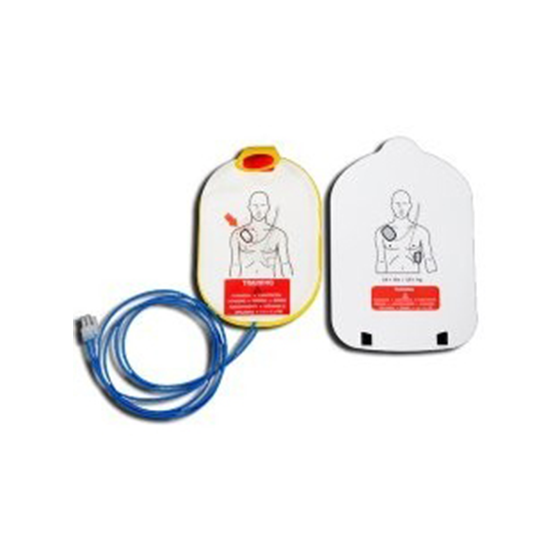 A training pads cartridge can also be used on a manikin, connected with an internal (M5088A) or external (M5089A) manikin adapter.